Go directly to the sections on books on teaching ESL, websites with material for ESL teachers, or sites students can use. There are many other free teaching aids that can be improvised as needed. A collection of old magazines or catalogs with pictures, some scissors, paper, pencils, and markers can produce hours of practice. Students can choose, cut out, and label pictures of the vocabulary they are studying; tell a partner what is happening in a picture, or make up a story about it, etc. You can re-use those pictures later for review or for another class. Classroom objects, clothes students are wearing or that you bring in, foods, and other simple objects can be used for demonstrations, conversation starters, or guessing games. There are also some websites and books that can be great time-savers. The ESL teacher resources listed on this page are the ones I have found the most helpful over several years of teaching adult ESL classes of various durations and levels. (I taught mostly multi-level classes, from 2-3 hours several times a week to 7 hours/day 5 days a week classes that lasted for 6 months. For those 6 month classes we had a text, but for that much time together we needed a great variety of materials to supplement it! Teaching Adult ESL: A Practical Introduction by Betsy Parrish. If I had access to just one ESL teacher resource, I think I’d choose this one. It is an excellent summary of communicative teaching techniques, with lots of practical suggestions and ideas that you can apply in a classroom. If you don’t have textbooks available for your class, you might still find a teacher’s edition useful for curriculum and lesson planning. My school used the Stand Out! series. It’s not my favorite for the students, but they did provide excellent lesson planning strategies and help in each level’s teacher edition (the “Lesson Planner”), along with suggestions for integrating grammar into the lessons, supplemental activities, and timing. The Oxford Picture Dictionary's Classic Classroom Activities is a fantastic large paperback full of ideas and reproducible pictures. It's not cheap (though Amazon Marketplace has some used copies of the first edition-- the one I used, and can highly recommend-- for very little), but one copy could easily serve a school as all pictures may be freely copied. The best grammar reference I’ve seen is Michael Swan’s Practical English Usage. It’s well written and thorough. I hope you'll find the lesson plans and printable pdf worksheets and lessons on EnglishHints helpful, as well as possibly finding ideas in some of the materials here for ESL students. I just found this list of 10 great ELT sites-- sites for lesson ideas, teaching pronunciation, grammar questions, collocations, professional development, IELTS prep, and more. I've already used and appreciated several sites-- and look forward to trying the others! ESL Flow has a great many interesting ideas for lessons and activities, as well useful worksheets and links to other sites with worksheets-- many you might not find on your own. I really liked several of the Ice Breakers, including “Never have I ever”-- a good game to use early in a high intermediate or advanced class as a fun getting acquainted activity, as well as present perfect practice. Farther down the icebreaker page there are links to several pages with great ideas for teaching with pictures. I loved the Picture Dictation lesson guide, and especially their sample pictures and samples of student drawings made from listening to their descriptions. The “Lots of Pictures” link (or “Using Pictures” from the home page) offers the best assortment of pictures for ESL conversation activities I’ve seen on the Internet, and I’ve spent hours looking. (I wrote the above in the days before Pixabay and other royalty-free and actually free image sites. There are a lot more options now, but pictures designed especially for ESL can be extra-helpful as coversation-starters. 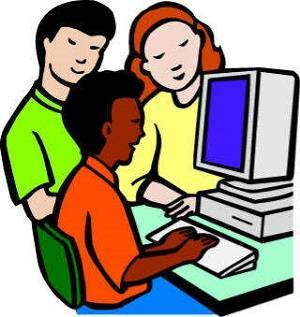 ESL Flow has many more links to vocabulary, grammar, and reading pages from all over the Internet. I haven’t found many actual lesson plans (there are a few on New Year’s Resolutions), but there are lots of lesson ideas. DevelopingTeachers.com has lots of lesson plans by different teachers, almost all for intermediate level up. They go into much more detail than is provided by most sites online-- valuable if you’re just starting to teach ESL. If you are already an experienced teacher, you could jump straight to the 2nd page plan itself. They have more lesson plans under “English to Go,”, as well as other ESL teacher resources and tips. iteslj: The Internet TESL Journal (no longer a functioning journal, but keeping its archives available) has a huge collection of lesson plans (some detailed and some not), conversation and game ideas, links to ESL readings, and activities for students. The British Council TeachingEnglish.org has many useful articles, activities, and lesson plans. I was very impressed by this article on Making Reading Communicative, with excellent suggestions for strategies to use before, during, and after a reading activity to incorporate lots of interaction and language use and to keep students engaged. Tefl.net has fantastic plans (in the “Topic Worksheets” section), and below those some really useful articles on teaching ESL. They also have ESL blogs from all over the web available via their top navigation. In addition to plans for lesson for young learners, business English, phonics, etc. they have an invaluable section on Survival ESL with lessons to prepare beginners for travel or living in English-speaking countries. An excellent listing of many useful ESL sites was suggested to me by a visitor to this site. Start Local has many of the classic ESL resources and some great new sites I had never seen, like ESL Blues, with lots of practice activities. Here's a helpful summary of an ESL/EFL teachers' discussion on textbooks and suggestions on how to adapt when expected to use a textbook more than they would prefer. Near the end of the article are links to more suggestions. There are lots of creative ideas here for getting the best from books without feeling enslaved to them. There are many more excellent ESL teacher resource sites online, as well as some poor ones, or sites that have good content but are hard to navigate or so covered with ads that it’s hard to find the content. That’s why I didn’t link to ESL-Lounge or about.com’s ESL pages here. They do have some excellent lesson plans, worksheets, and tips, if you don’t mind dodging the ads. When you have time, explore more on your own. The tefl.net site above has excellent resource pages that would be a good place to start. There are some great teacher blogs, as well. Happy hunting! I just read some great suggestions for helping students avoid the “summer slide.” It’s great if the school has a book give-away program or if students have access to a library. A class field trip to the library is even better, if possible, so they can see for themselves what’s available and how helpful librarians can be. If parents are at all supportive, encourage them to take their children and get them library cards, too. I took several adult classes to the library, where they had a treasure hunt, with a worksheet to mark with locations, Dewey decimal numbers, and information to find. It was a popular activity! There are also great resources students of many ages and levels can access for free online. USALearns offers several English courses that students can access on their own or use as part of your class, if you set up a class there. I enjoyed using many of the Intermediate videos, worksheets, and activities when they were still part of the old English For All site. They have added a beginner course and a second Intermediate reading plus course and very explicit instruction videos on how to study with their courses. A California high school ESL teacher discusses quite a number of helpful sites that allow teacher monitoring, so students can get extra credit the following year. (These require teacher set-up, but he says it doesn’t take long. He also has collaborative arrangements with his colleagues so students who change teachers can still get credit. Some of his students really wanted a program like this after summer school programs were severely cut back.) Two more sites are recommended in the first blog comment. He also has a list of the best Beginner, Intermediate, and Advanced ELL sites for students to use on their own. Many are new to me, but I have used California Distance Learning, Pumarosa, USA Learns and VOA Activities, and several others look well worth investigating. My Online Reading page has other suggestions. 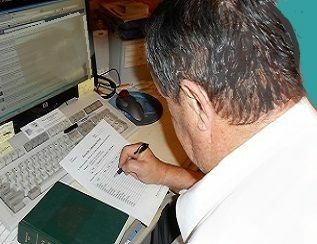 Home> ESL Lesson Plans for Teachers> ESL Teacher Resources.